Visiting Walt Disney World and any of their theme parks is as much about the food and dining as it is about the rides, parades and entertainment! 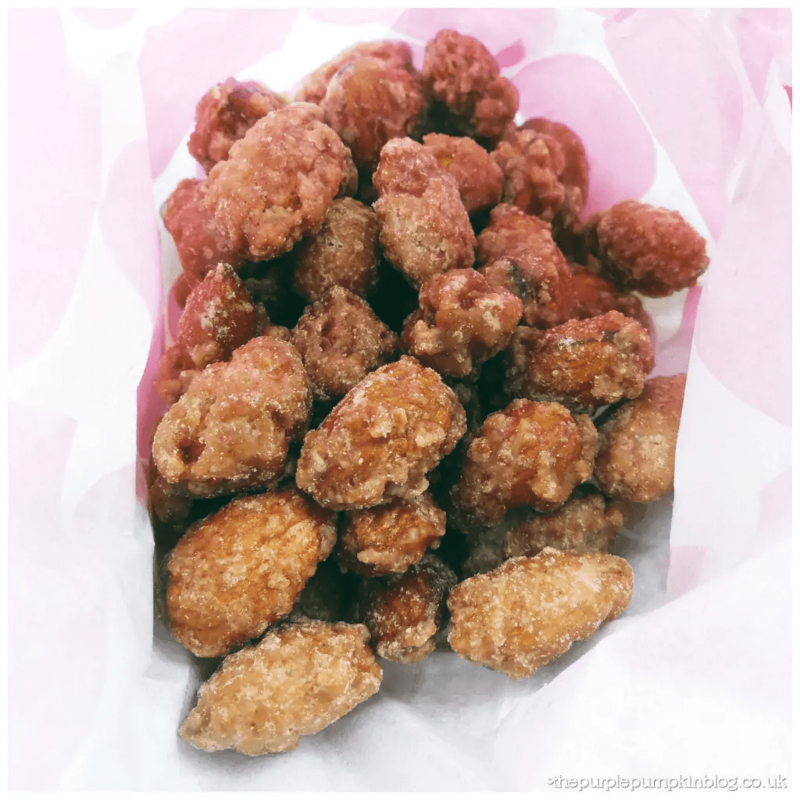 I bet you won’t find a single person who has been to the World that doesn’t have a favourite snack or quick service location or restaurant… probably several favourites! 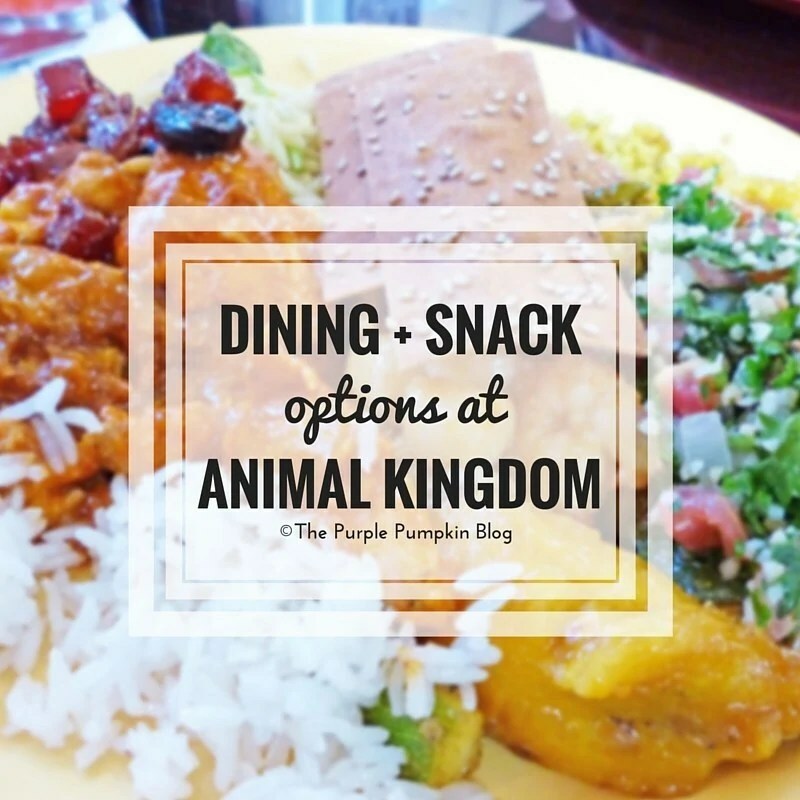 I thought I would write about the dining options at each of the four theme parks, starting this week with Animal Kingdom. 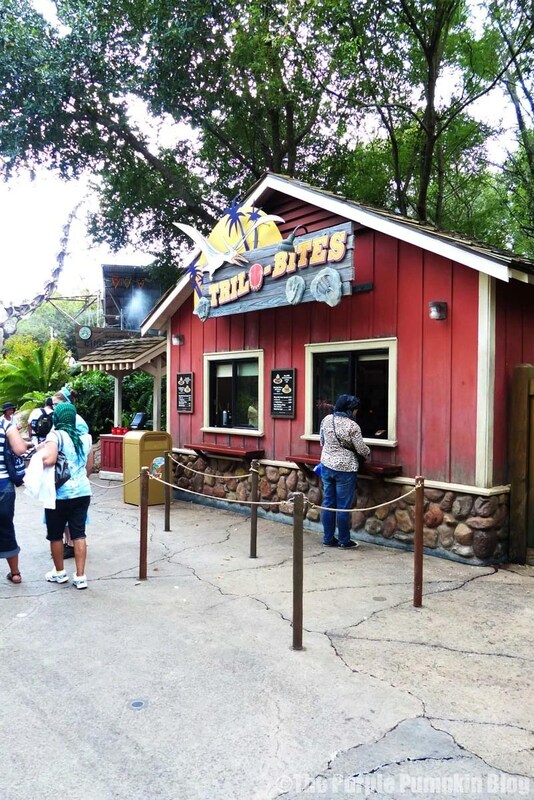 We have far from tried every eatery at the theme parks – but we have our favourites that we re-visit each time we go, and there are some which we are planning on dining at during our Halloween in the Wilderness trip. I’ve taken lots of random photos over the years we’ve visited Walt Disney World, so if I have any pictures of the dining establishments, I’ll be including them here, as well as links to our reviews of the places we have dined at or bought snacks from. Dining at Walt Disney World is broken down into Table Service – where you sit inside the restaurant and are served at your table. A table service restaurant may also be an All-You-Care-To Enjoy Buffet, where you help yourself, but are brought drinks to your table by the server, or Family Style, where platters of food are brought for you all to share. Quick Service – or counter service, where you order your food at the counter and take it to the seating area, which is less formal than a table service establishment. Snacks and drinks can be bought at Kiosks, Carts, or Walk-Up Windows. Unless otherwise stated, you can use Disney Dining Plan credits to purchase your meal. Check the menu boards at kiosks and shops for the symbol below which tells you that you are able to purchase the item using a Disney Dining Plan Snack Credit. 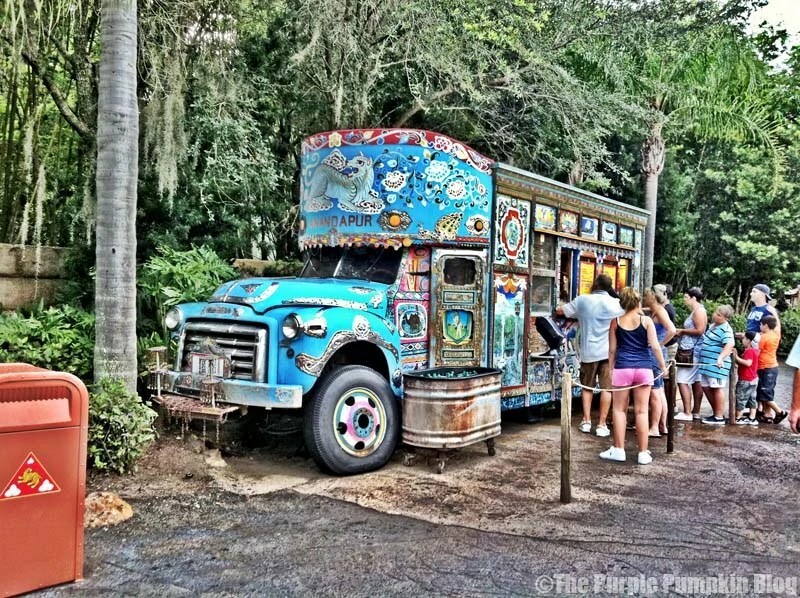 A very cool looking truck where you can buy ice-cream treats including soft-serve waffle cones and floats. Also sells soft drinks. A snack kiosk selling potato chips, pretzels and corn dogs – at least it did the last time we visited. Disney’s website currently lists it as closed for enhancements. Now serving Starbucks coffees, frappucinnos, smoothies, refreshers and teas. Also serves snacks like fruit, potato chips, and yoghurt, as well as a range of small plates (after 4pm at the West End location) including chicken skewers and flatbreads and bakery goods like muffins, croissants and cookies. Breakfast is served in the form of wraps and sandwiches, and lunch options (served at the Marketplace location) include panini, sandwiches and bistro boxes. The evening menu (served after 4pm in the West End location) includes beers and wines. Serving beers, ciders, wines and speciality cocktails including: African Margarita, Titiki Punch and Dawa Bloody Mary. Some cocktails are available with souvenir mugs. Enjoy frozen treats like ice-cream cookie sandwiches and hot fudge sundaes. You can buy breakfast in the form of wraps, muffins and pastries. Also sells churros, potato chips, soft drinks and beer. A snack kiosk serving nachos, pretzels, hot dogs, cinnamon-glazed nuts, frozen soft drinks, beer and frozen Bacardi raspberry rum lemonade. A place to buy healthy snacks which include chicken salad sandwiches, hummus and vegetables, rice chips, gluten-free bagels and muffins, fresh fruit, soy milk, soft drinks and gluten-free beer. 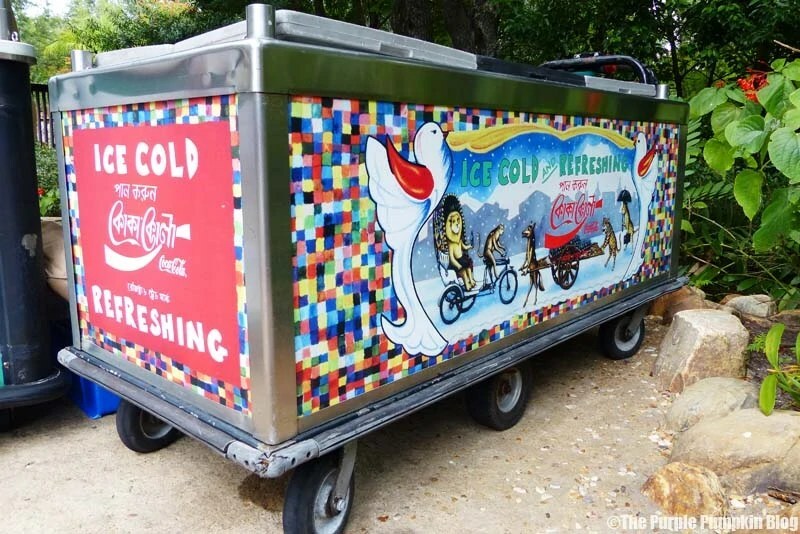 Open seasonally, selling fruit, potato chips, soft drinks, frozen (soft) beverages and frozen cocktails. 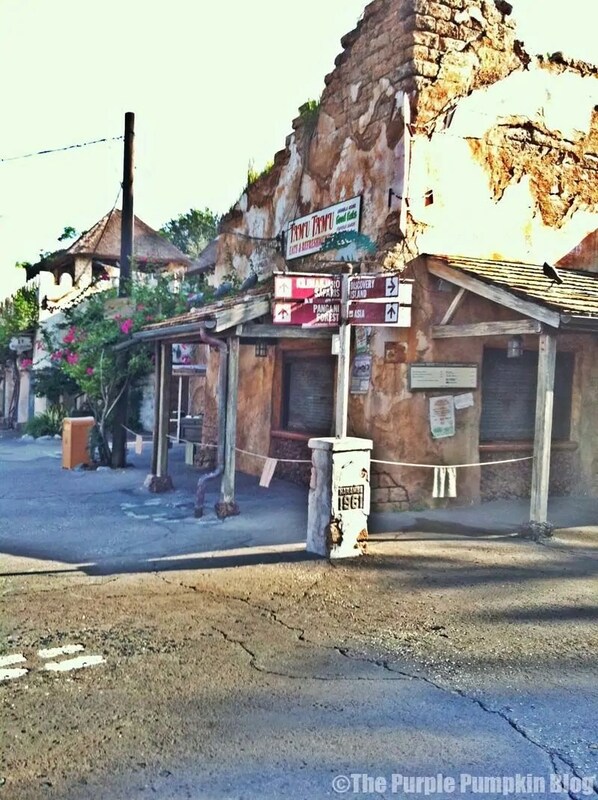 Grab a muffin, pastry, doughnut or cookie on your way into the park, along with a coffee, iced tea or frozen drink. 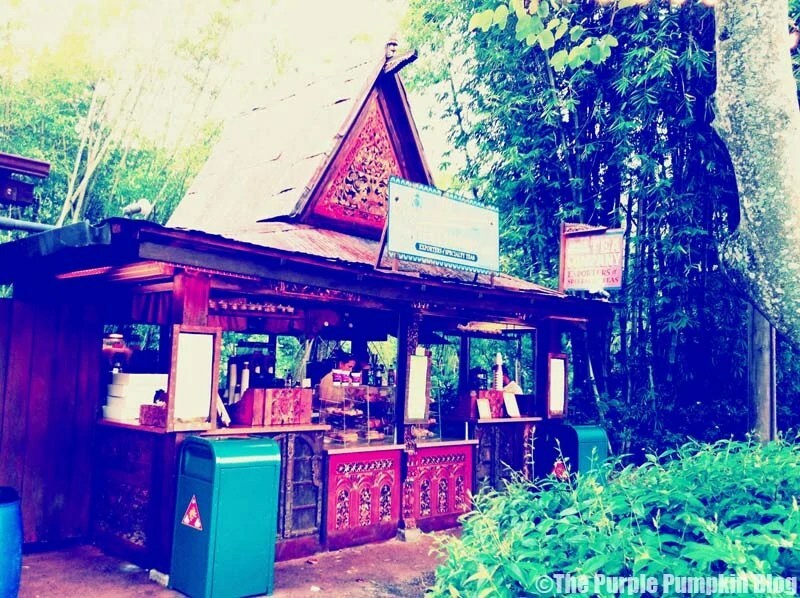 A quick service location that often pick up a quick bite to eat when at Animal Kingdom. Serving classic American BBQ including ribs, chicken, pulled pork, and corn bread. You can also buy the famous Jumbo Turkey Legs here, as well as a couple of different salads. Drink options include soft drinks, hot drinks, speciality cocktails, beer and wine. 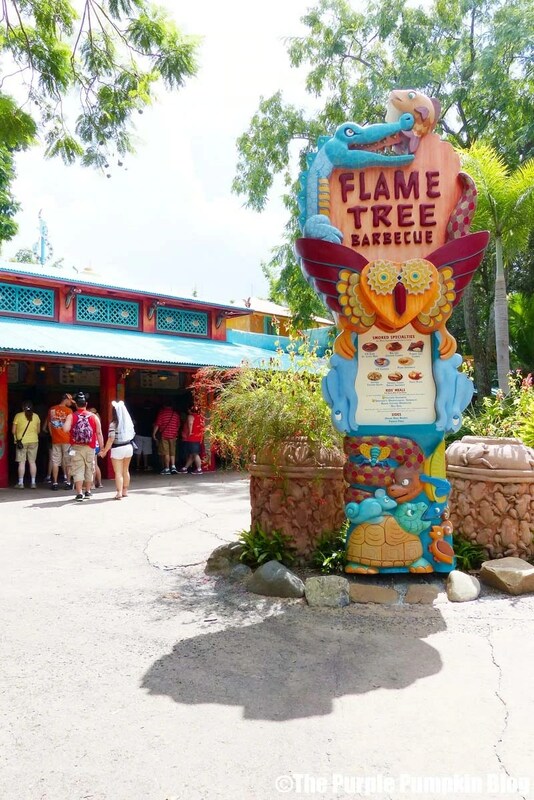 Read about our experiences at Flame Tree Barbecue here, and here. Serving salads and soft drinks, including chilled green tea and cucumber-mint pomegranate lemonade. 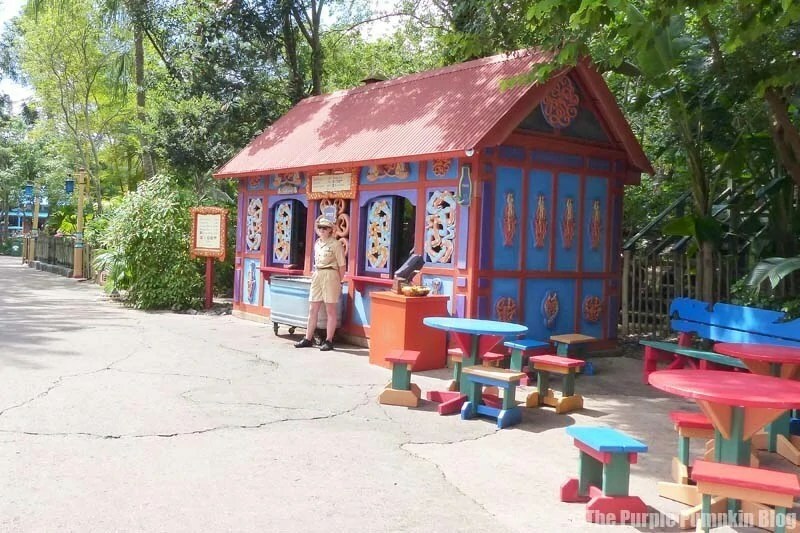 A delightful kiosk to pick up some fresh fruit and vegetables (carrot and celery sticks), as well as a Mickey pretzel, jalapeno cheese stuffed pretzels, and potato chips. Soft drinks, juices and water are also available. An open-air market place serving African inspired street food. Culinary delights include boerewors sausages, spice-rubbed karubi ribs and African milk tart. 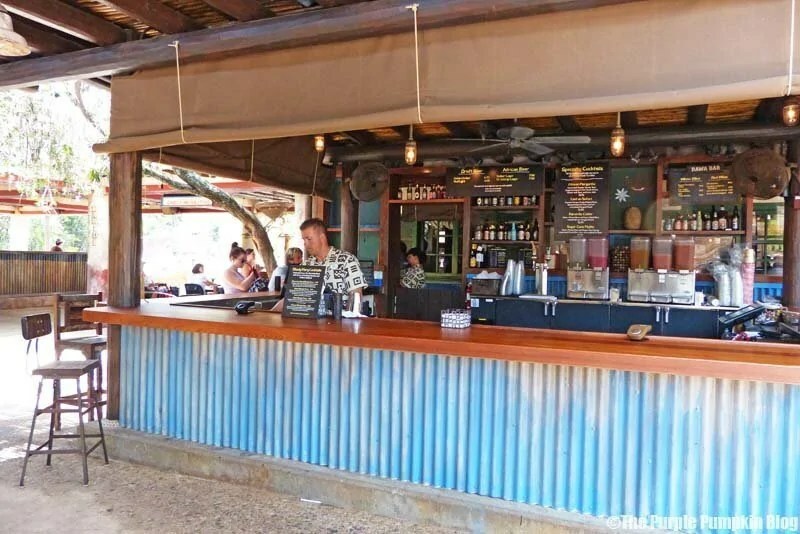 Drinks include the usual Coca-Cola products, watermelon lemonade, beer, wine, and a speciality cocktail called Starr of Harambe, which includes a souvenir tumbler. Selling popcorn, cinnamon glazed nuts, soft drinks, slushies and beer. Mickey pretzels, baked goods including the Tree of Life Cupcake, soft drinks, frozen drinks, and coffee are available here. Snacks and drinks available here include: freshly baked gourmet cupcakes – Simba, Zebra and Tree of Life; baked goods including cinnamon rolls, elephant ear pastries and brownies; breakfast cereal, as well as a hot breakfast sandwich. Usual soft drinks, juices and coffee, and a speciality iced coffee with Amarula cream liqueur. Falafel, samosa, hummus and soft drinks. Pasta, meatball subs, pizzas and tiramisu are all on the menu, as well as soft drinks, hot drinks, beer and wine. We had breakfast here on our last day, of our first trip in 2011. The breakfast menu is fairly small with things like Tonga Toast, omelettes, sliders and waffles. Lunch and dinner options include appetizers such as sharing platters, nachos, soups and salads; entrées like paella, feijoada, coconut shrimp, steak, fish, burgers, and pasta; decadent desserts like the famous Sparkling Volcano which is big enough to share! The restaurant is well themed, but be warned, it is LOUD! 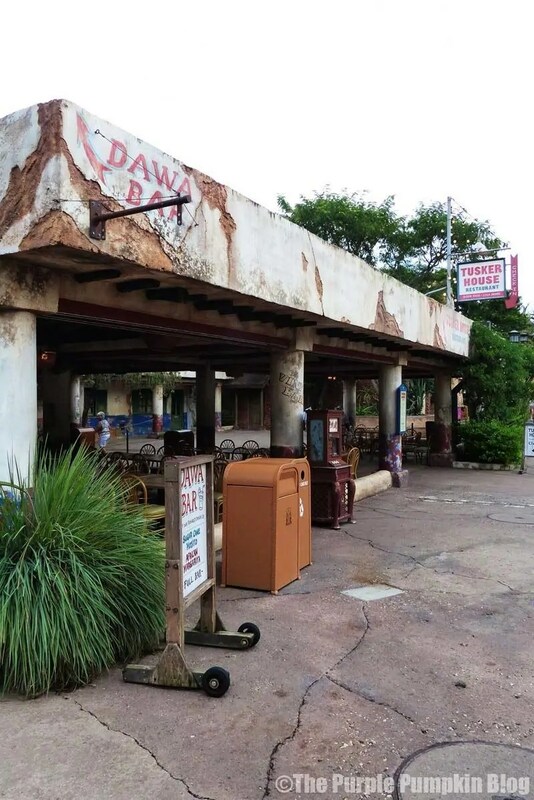 It also benefits from a theme park restaurant that you don’t actually have to go into the theme park to enter it as the entrance to it is outside of the entrance to Animal Kingdom. Soups, salads, burgers (including a vegetarian black bean burger), and hot dogs are sold here. The hot dog is topped with mac ‘n’ cheese and bacon bits *drools*. 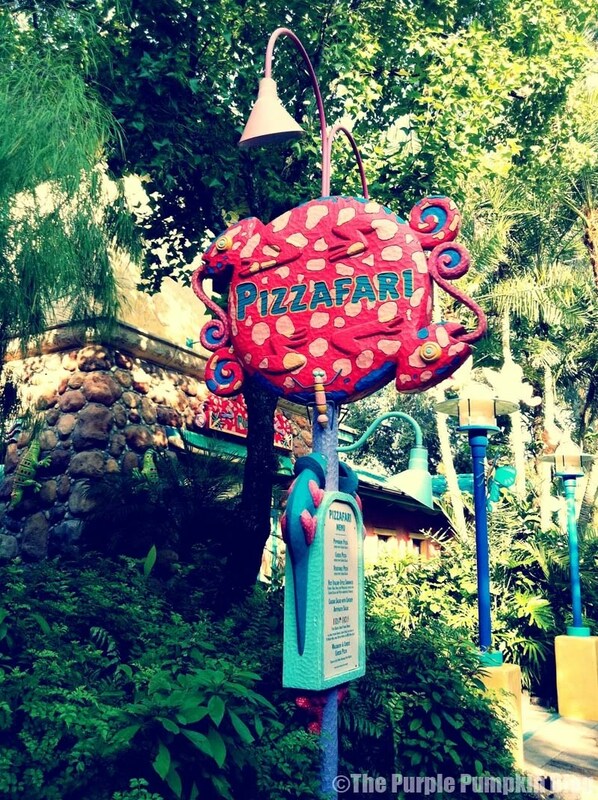 It’s on our list to visit this year when we go to Walt Disney World. Soft drinks, beers, and a speciality cocktail – Wildberry Mango Rum Lemonade are also on offer. An assortment of teas – both hot and iced, coffees, frozen beverages, baked goods (muffins, pastries, doughnuts) and speciality cocktails can all be found here. Serving limited breakfast, sandwiches, and salads, as well as frozen desserts such as ice-cream sandwiches, and sundaes. Coco-Cola products and speciality cocktails also on offer. Not a huge menu, with just buffalo chicken waffle slider, waffle sundae, and ice-cream floats available. But you can buy some interesting sounding beers: Funky Buddha Floridian Hefeweizen, and Cigar City Maduro Brown Ale, as well as the usual soft drinks. Buy far one of our favourite theme park restaurants at Walt Disney World. We have been here on every trip to Orlando: twice for breakfast (2011, 2013) and once for lunch (2014). We are booked in for breakfast this year. Tusker House is a character dining location (for breakfast and lunch), where you can meet Donald Duck, Daisy Duck, Minnie Mouse, and Goofy, all dressed in safari gear. You can read a guide about character dining here. Food is an all-you-care-to-enjoy buffet, with African inspired dishes, as well as American classics for those not so adventurous diners. Breakfast includes traditional fayre – pastries, eggs, bacon, sausages, biscuits and gravy, Mickey waffles with warm maple syrup, breakfast potatoes, frittata, cereals, fresh fruit, and breads, alongside dishes with an African influence – carved meats, beef bobotie, and fruit chutneys. Lunch and dinner includes a wide variety of dishes which may include carved meats, fish, stews, vegetables, potatoes, salads, rice and more. Children’s offerings are usually mac ‘n’ cheese, corn dog nuggets, and peanut butter jelly sandwiches. You are able to help yourself to whatever you like. There are also a wide selection of desserts and the usual soft drink offerings from the Coca-Cola product range. 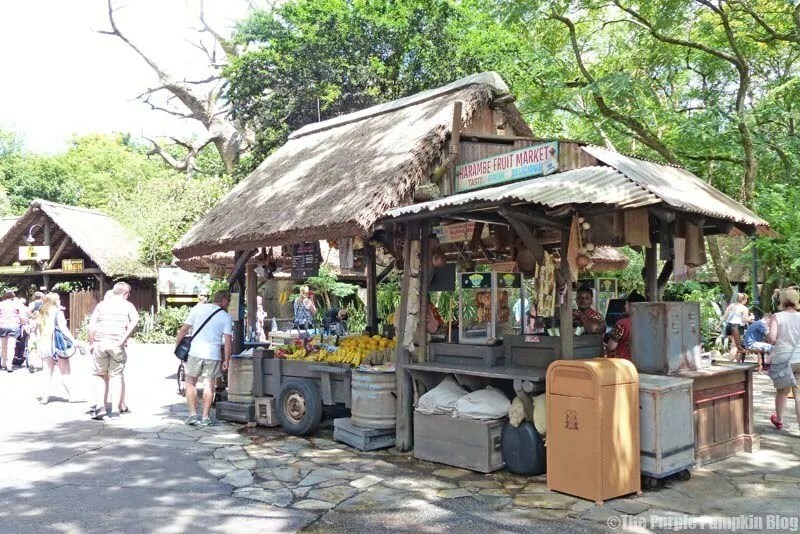 Open seasonally, selling Mickey pretzels, and potato chips, as well as a range of speciality cocktails such as Kali River Mango Margarita, and Triple Yeti Blast. Beer and soft drinks also available. A daily chef’s special (inquire on your visit), teriyaki beef bowl, Korean barbecue chicken, egg rolls, and pineapple coconut cake are some of the tasty offerings. Soft drinks, beer and wine too. An Asian chicken sandwich and a chicken salad, alongside potato chips are the food on offer here; with speciality cocktails such as Frozen Emperor Margarita, and Yak Attack, as well as soft drinks, beer and wine. Open for lunch and dinner, and somewhere we have booked for 2015, which we’re excited about as it has some great reviews and delicious sounding food including: Ahi Tuna Nachos for Two, Dim Sum Basket for Two (appetizers); Teriyaki Mahi Mahi, Malaysian Seafood Curry, Kobe Beef Burger, and Kalbi Steak & Coconut Shrimp (entrées); fried wontons, and mango pie for dessert. There are also speciality cocktails (alcoholic and non-alcoholic), soft drinks, beers and wines on the menu. I cannot believe that in all our trips to Walt Disney World that we have never been inside this shop – I’m making a beeline for it this year! You can buy cookies, caramel apples, cake pops, marshmallow pops, animal ‘poop’, cupcakes, candy, and popcorn here. There is also a trail-mix dispense bar (OMG!) and you can buy South African wines by the bottle. 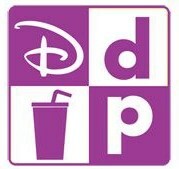 Usual soft drinks and other Disney snacks also available. 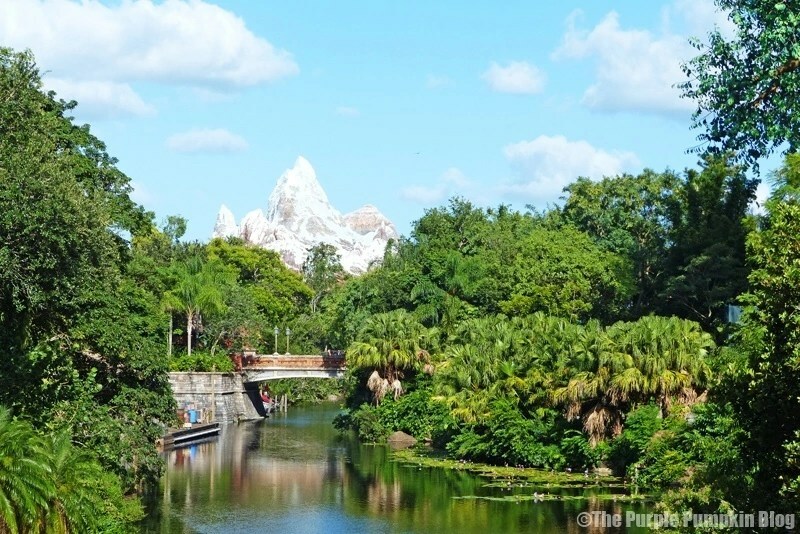 What are your favourite places to dine or grab a snack at Animal Kingdom? 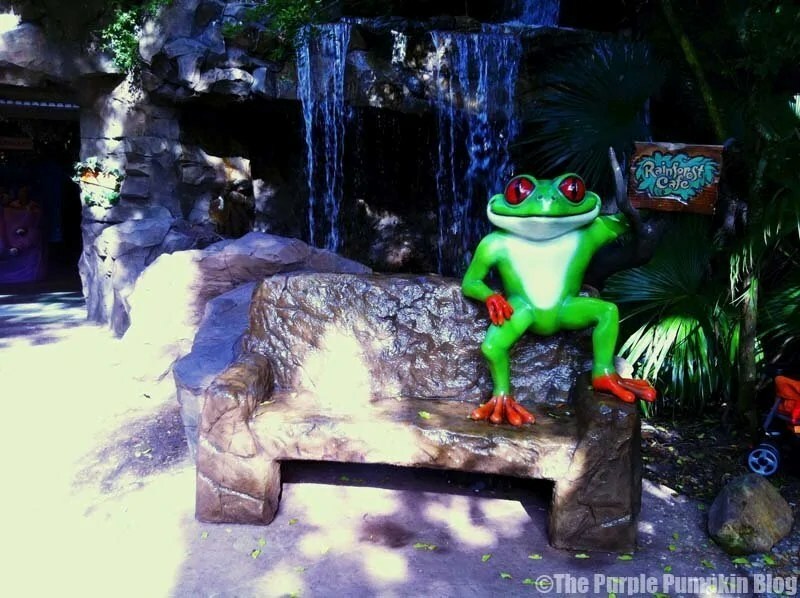 Thanks for reading Day 56 of 100 Days of Disney 2015! 44 to go! Come back tomorrow for another Disney post!